To begin with, I want to share my favorite hymn sung by a man after my own heart. Victory in Jesus! A related song is Long Black Train. Kevin Jesmer was born in 1964 in the remote northern Canadian mining city of Thompson Manitoba. As a young man he enjoyed a carefree life with his mother, father and sister. He was cherished and was well liked by the many friends he made from elementary school and then through both junior and senior high. 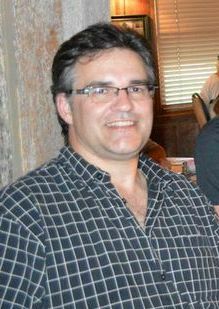 After graduating in 1982, Kevin moved to Winnipeg, the capital of Manitoba and pursued a degree in Chemical Technology from Red River Community College. Things were different though, being in a large city and away from family and some of his good friends, he found that he was starting to grapple with issues such as the meaning of life, boredom and purpose. In order to quench his thirsty soul Kevin became a hedonistic young man, playing with what some would refer as their “Dark Side” and was plunging deeper and further into spiritual abyss. He was lost in his sin. But Jesus did not abandon him. While sitting alone one day, at the age of 22, tired of all that wasn’t happening to fulfill him and wishing for something better in his life, he was approached by a Christian and invited to a Bible study meeting. From that day forward, John 4:13-14 became the key verse of his life. Since that time, Kevin has been teaching the Bible, mostly on a 1:1 basis. In 2012 he and his family joined a community Bible Church. He hopes to grow as a missions coordinator and, God willing, a missionary one day. Please pray for these things. Over the next six years, God blessed them with five children, Jennifer, Augustine, Sarah, Hope and Mark. From 1998 to 2013, they started a small, housechurch ministry in DeKalb near the campus of Northern Illinois University. 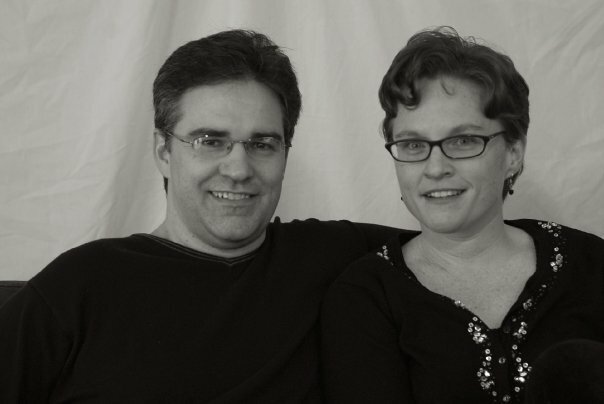 Kevin is currently a lay-minister, preaching the Gospel and also working as a nurse in the local hospital, Julie is a Bible teacher and also working full time as an executive assistant. We are currently members of a local community Bible Church. Our oldest, Jennifer, is studying at McGill University and participating in a Christian church near the campus. 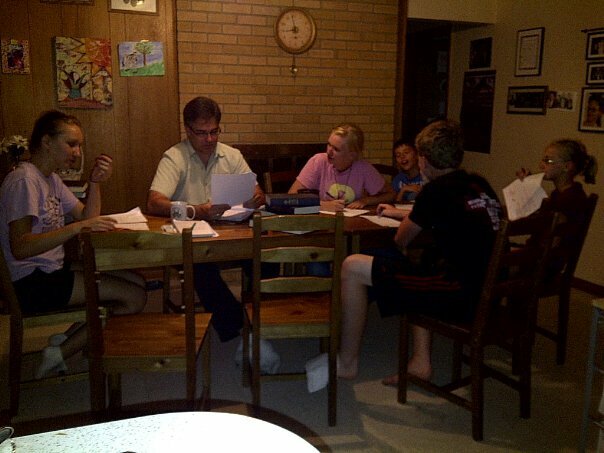 Kevin writes daily devotionals as part of a team for UBF. To let you know a little about our backgrounds: Kevin holds a college degree in Chemical Technology , an associates degree in Nursing from Triton College and a bachelor of science degree in Nursing from Elmhurst College. Julie holds a bachelors Degree in Russian Language and Literature from Northern Illinois University. They want to pass on all the things they have been blessed with, in the hopes of helping others to experience Jesus and find the same happiness (in Him) and salvation that they have found in their lives. Their vision is to create Christian communities where the Gospel is shared through mostly 1:1 Bible study and relationship building. They pray to form communities where the love of God is manifest, where the word of God is meditated on deeply, preached and applied daily, and where each person may experience fullness of life in Christ. The creation of this site is now a way to connect with Christians all over the globe and share experiences with each other as they follow Jesus. Please take a minute to tell us who you are and how or why you ended up at our site. We would love to get to know you and look forward to enjoying your fellowship. If you would like an image to appear beside you WordPress comment then simply sign up at Gravatar to create an avatar.